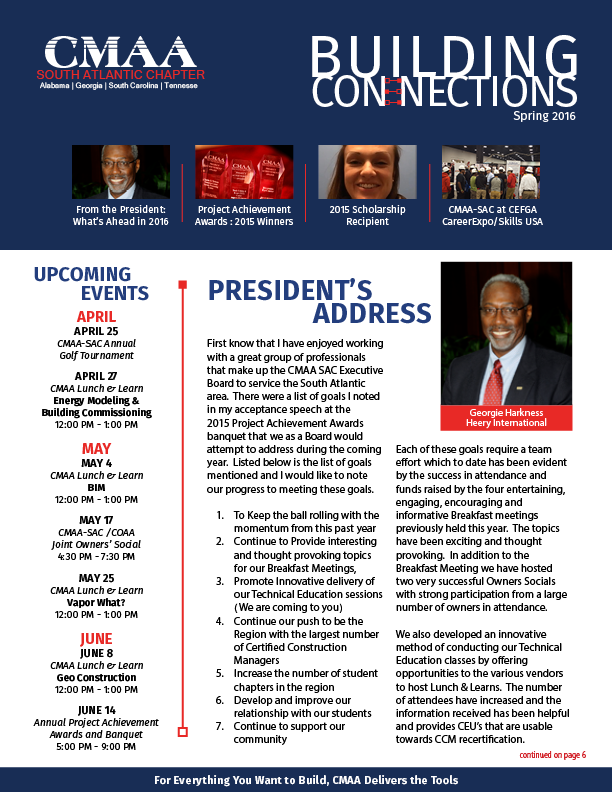 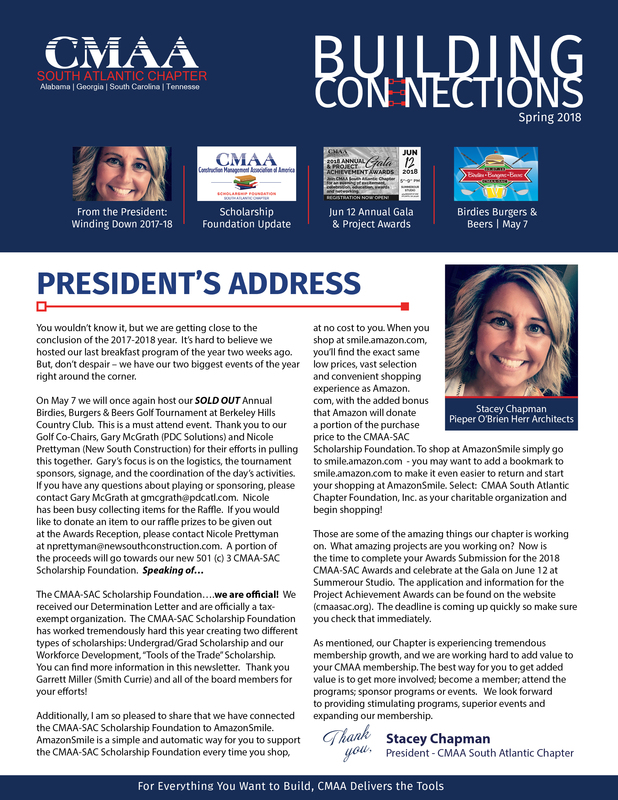 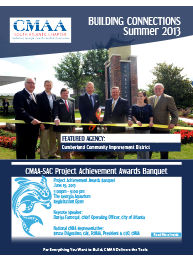 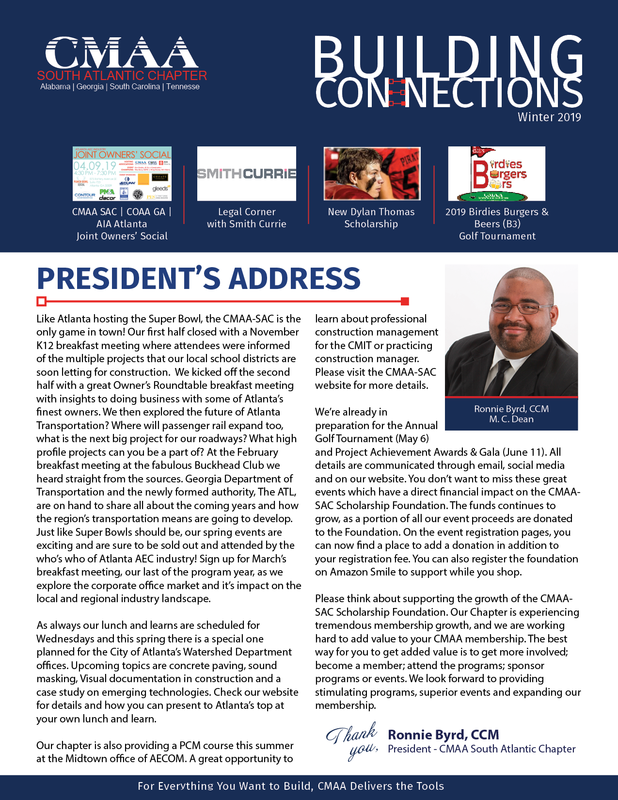 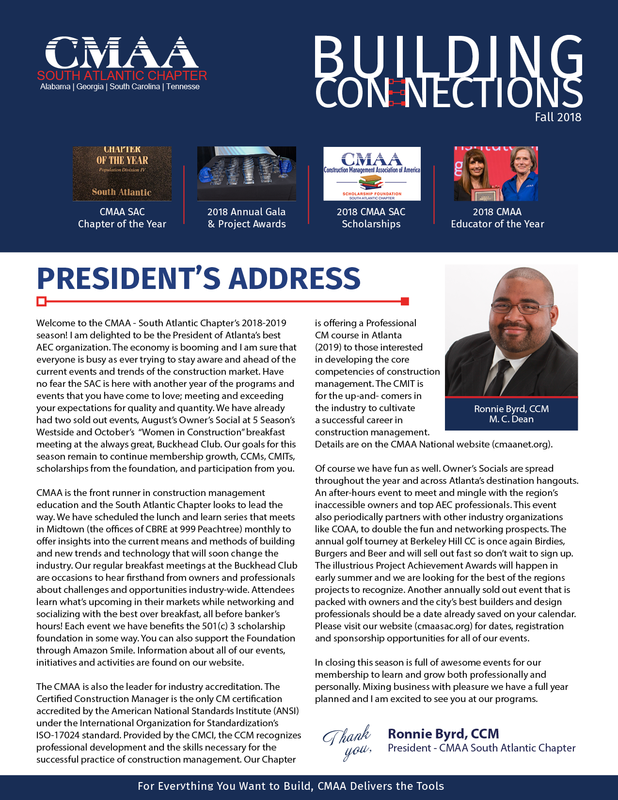 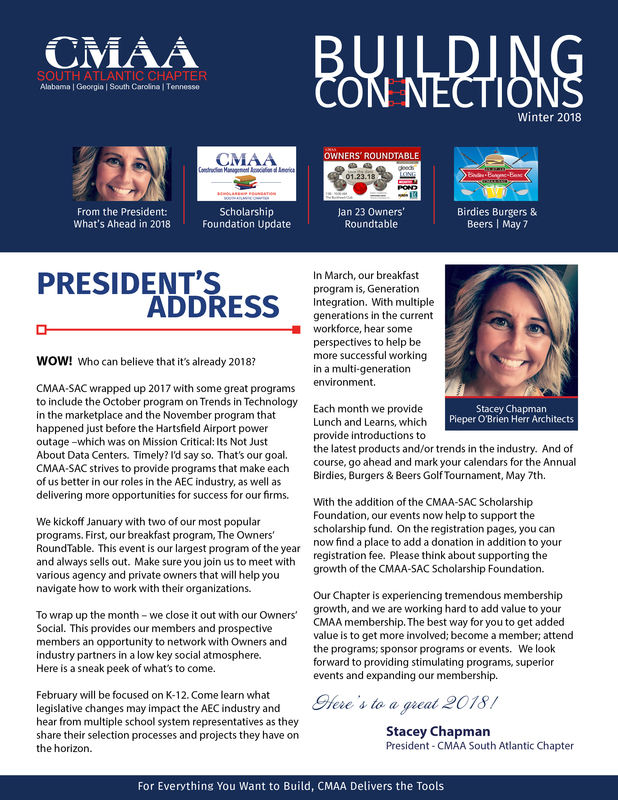 CMAA South Atlantic Chapter is proud to bring you Building Connections, a quarterly eNewsletter. 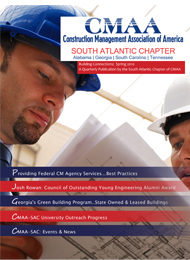 Our goal is to provide you with leading edge best practices and real world experiences to assist you in your day-to-day professional construction management and related activities. 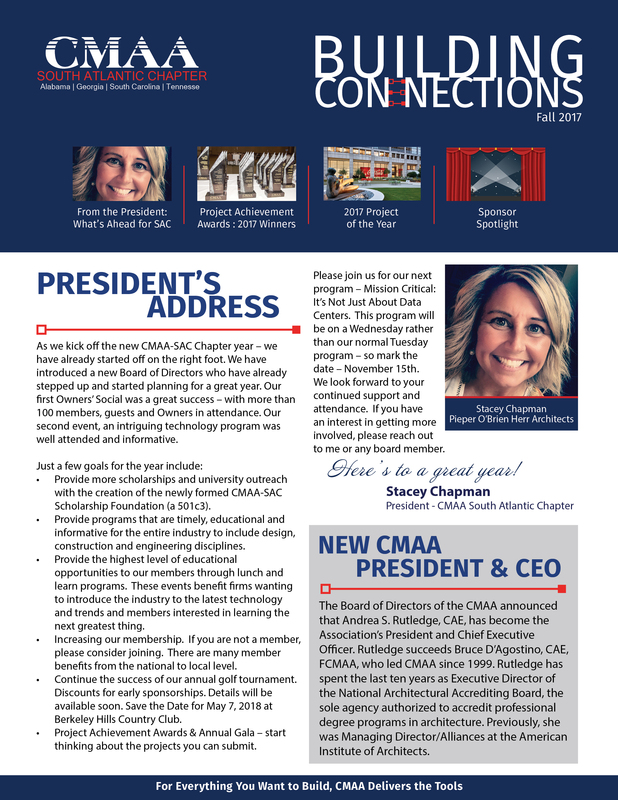 We shall keep you informed regarding local chapter affairs and upcoming events, as well as CMAA national news, events and publications. 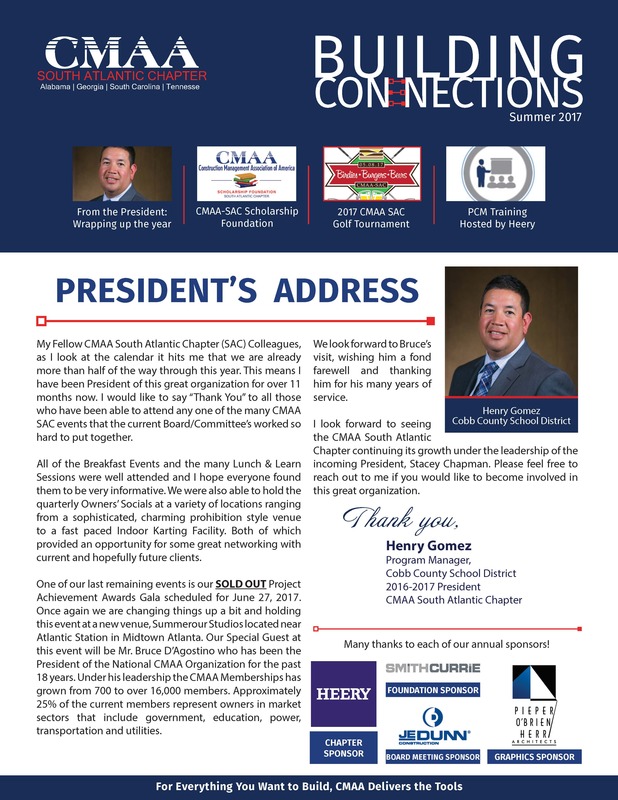 We also welcome your hard-won stories of project successes and satisfied owners, as well as your trials and tribulations and resulting lessons learned. 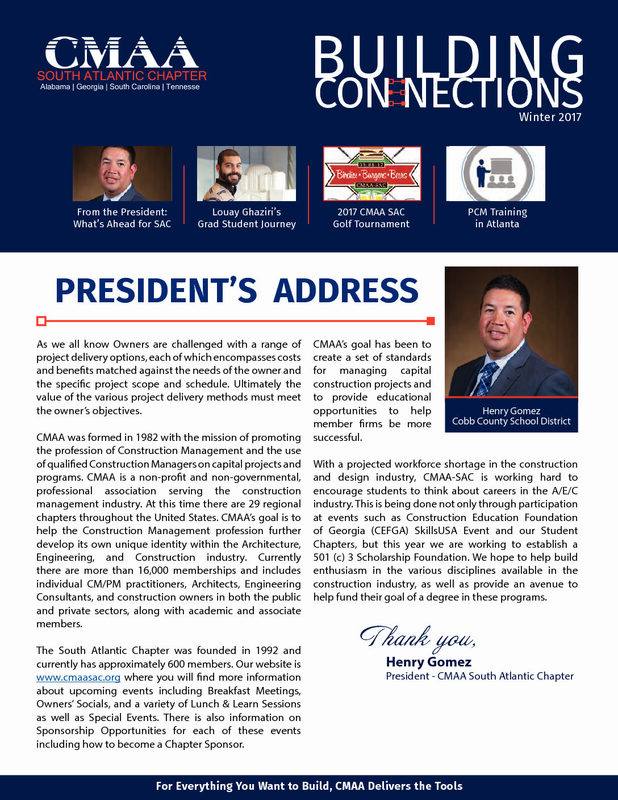 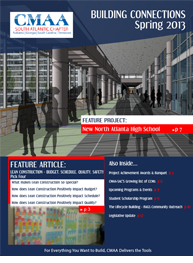 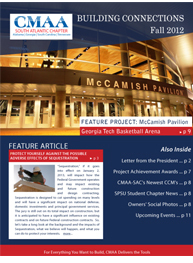 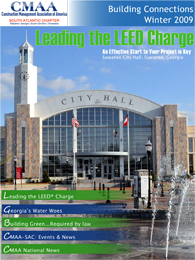 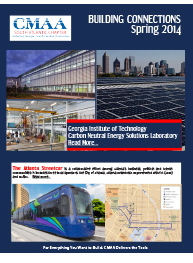 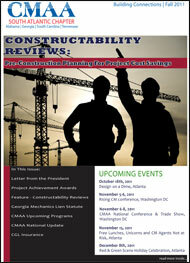 This publication is meant to assist all of us in our mutual goal of advancing excellence in construction management throughout our chapter region that includes Alabama, Georgia, South Carolina and Tennessee. 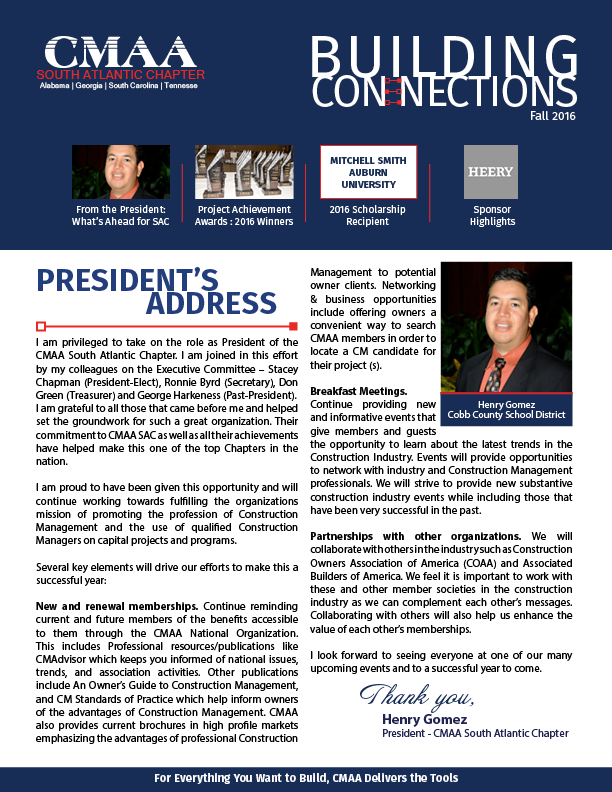 This newsletter cannot achieve its objective of “Building Connections" without your valuable and appreciated contributions. 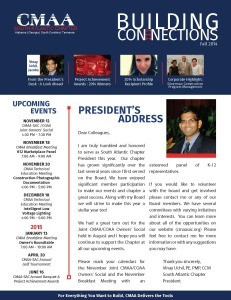 Please contact the chapter with your feedback, ideas and submissions for upcoming issues.